On Thursday, February 7th, Columbia University’s Zuckerman Institute held the latest installment of its Stavros Niarchos Foundation Brain Insight Lectures series. The Brain Insight Lectures Series are free and open to the public with advance registration. “Finding the Bar Codes in our Brains: Using Genetics to Identify the Brain’s 100 Billion Neurons” took place from 6:30 – 8 p.m. EST at the Columbia University Forum Auditorium. 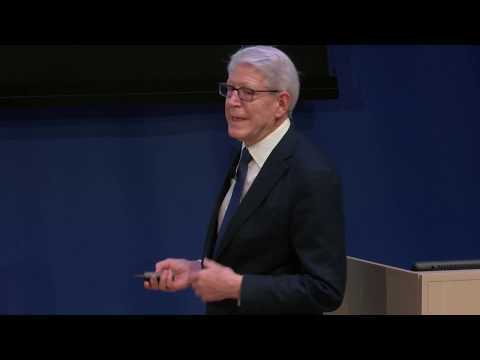 Dr. Tom Maniatis, the Isadore S. Edelman Professor of Biochemistry and Principal Investigator at the Zuckerman Institute, discussed the proteins that allow our neurons to distinguish between their own branches and the thousands of other neurons with which they connect, an ability necessary for the formation of a functional brain circuit. The Brain Insight Lectures Series is one of two closely related initiatives at the Zuckerman institute supported by the SNF. The other, the Teacher-Scholar Program, connects New York City middle school and high school science teachers with the latest in brain research. Using the Brain Insight Lectures as case studies in subsequent workshops, teachers create a lesson plan for the semester to bring cutting-edge brain science into the classroom.